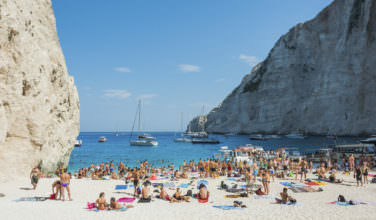 Corfu is a popular travel destinations for Greeks and tourists alike. The island itself is in the western side of Greece and is extremely close to Italy. In fact, before it was united with Greece in 1864, the island did have French, British, and Italian rulers. Because of its rich past, the culture here is extremely diverse, which is one of the reasons why it is such a popular travel destinations. 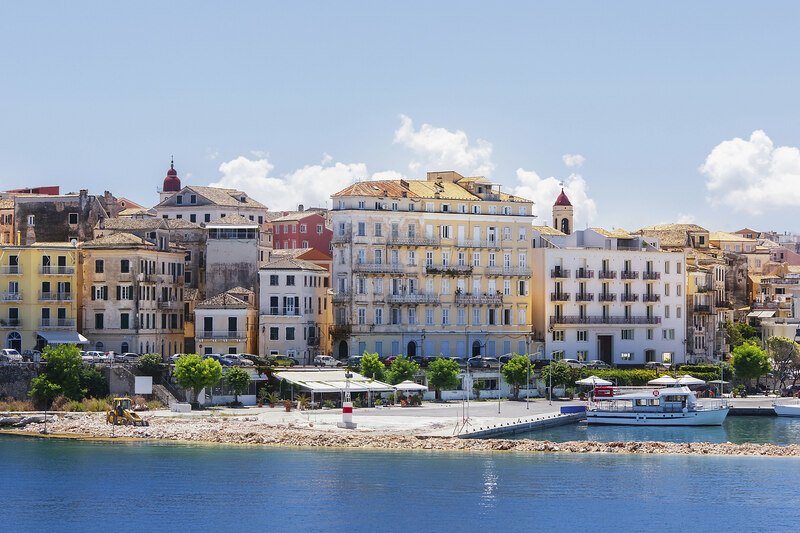 While visiting Corfu Town, you won’t want to miss spending some time in the older part of the city. 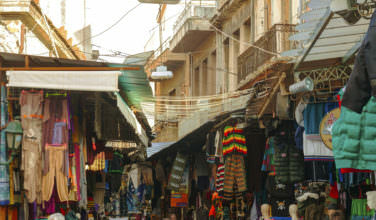 You can easily spend the whole day meandering through the streets and enjoying the various shops, old churches, and other historical sites. There is also a large park here where you can rest and relax before heading to one of the restaurants or tavernas for a delicious meal. Try to find one that has outdoor seating so that you can enjoy your meal in the beautiful weather! If elegance is what you’re after, The Liston is the place to be! This long colonnade has long been a favorite site to see in Corfu Town and is filled with elegant buildings, restaurants, and cafes. Spend some time walking through before you settle on a place to eat or drink. This is an ideal location for refreshment, especially if you are looking for the traditional cuisine of the island, or a refreshing beverage such as a Greek frappe, a frothy coffee drink, or fresh-squeezed orange juice. The Old Fortress, which is located in Corfu Town, will be one of the highlights of your visit. This sprawling Venetian fortress is a remnant of the Venetian occupation of the island. In many ways, it represents the history of the island and was even utilized by the Nazis during the German occupation of World War II. There has been a building at this site since the 6th Century A.D. Today, you can wander through the fortress on your own or take a guided tour to learn a bit more about the history. This old house is fairly new when compared to some of the other historical structures in Corfu Town because it was built in the 1800’s. However, this is also a great place to visit if you want to get a feel for the rich history that is present on the island. Casa Parlante is a fine example of the way the English gentry lived when they visited the island and the home has many of the same furnishings. 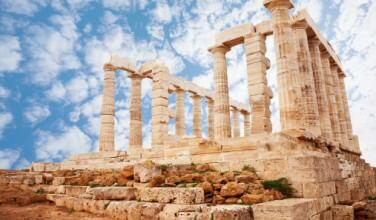 While visiting Corfu, you will find that there are plenty of things to do. Whether you choose to spend your time shopping, lounging on the beach, eating a great meal, or doing one of these activities, you are sure to have a memorable vacation!